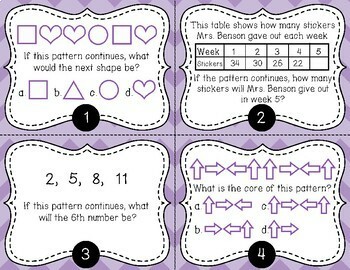 These 20 task cards focus on repeating and growing patterns from shapes, numbers, and/or tables. 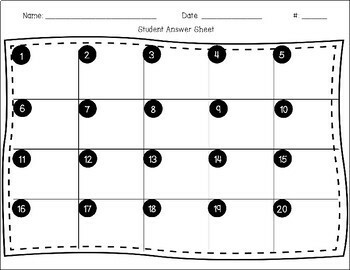 Great for independent practice, math centers, or a whole group activity. 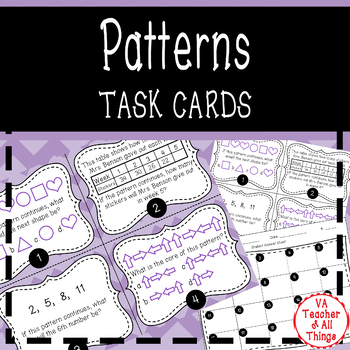 These task cards align with Virginia math SOL standard 3.16. 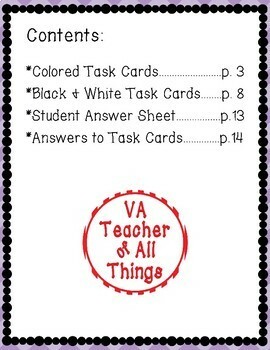 Download includes 20 colored task cards, 20 of the same task cards in black and white, a student answer sheet, and a teacher answer guide.